Partridge India has released a book of poems, Drifting Emotions and Flowering Thoughts authored by Usha Raman. It is a lyrical celebration of experiences. 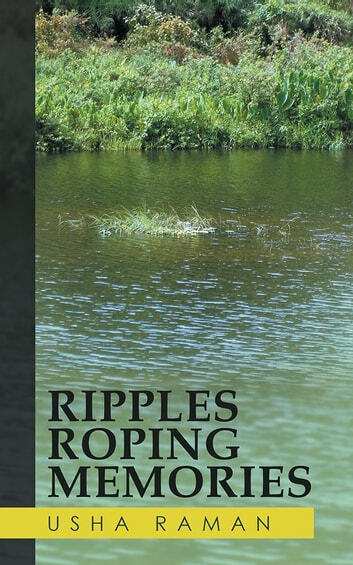 Another book are leaves from the 1960s which springs into Ripples Roping Memories, a fiction radiating into experiences. Walking to school with a school bag on her shoulder, Rani gazes at her surroundings and findings and revels in her sweet and resents her bitter experiences. Rani makes a comment about doctors. I considered doctors as healers who could mend peoples bodies. Doctors can drive away disease and pain. I revered them. The guilt feeling which Rani feels after stealing- My fabric of morality was stained. Fear and remorse ruled me. Pleasant experiences are- These songs infiltrated into my psyche and sowed a pleasant feeling Excerpts which reveal unpleasant experiences My head would become a sudden sweeping merry go round and I would slump on the floor Innocence and ignorance combined in me and aroused fear. A mothers attempt to blackmail is evident in the lines- Kanna, I am the only one mother of yours, You must listen to your mother or I am going to cut my wrist with a knife Do you want me or your friends? Atrocities against women leads her to believe It seems there is no security im marriage. Child abuse develops A constant feeling of disrespect towards elders continued to dwell in my mind. 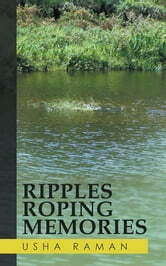 Reading the book Ripples Roping Memories helps one to experience cosmopolitan Indian society. It is a slow moving life where Rani gets time to observe. Din of commercialisation makes a slow penetration into Vanavli. It is an overall composite wade into middle class Indian life. Villas, chawls and shanties existed side by side. Languages of characters are coded in English. Meanings are provided to facilitate understanding.